with the term kanban, but even if you know nothing about Agile project management you’re about to find out how kanbanizing your projects can bring you to greater levels of productivity. The loop that it creates in the project cycle enhances communication and collaboration. Kanbanize.com brings that ease to you, automated, in spades. 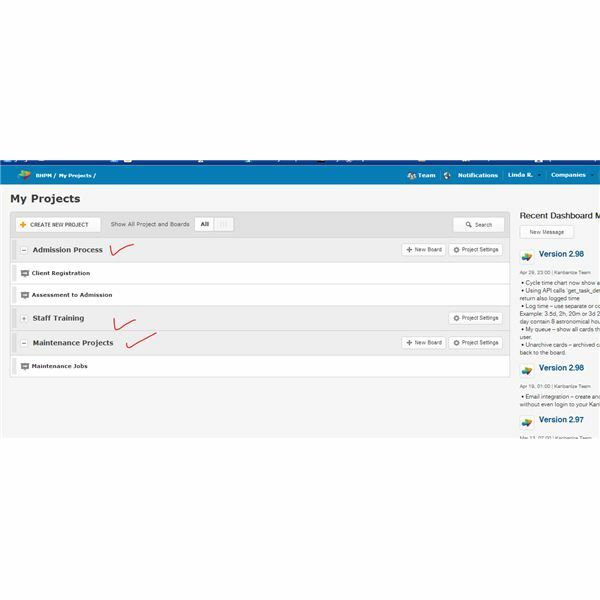 A basic kanban, for those not into Agile, is a visual project board divided into three sections—generally listing requested or anticipated work, work in progress, and work completed. Notes on the board identifying specific tasks are moved from section to section to indicate the status of the workflow. Typically, a limit is set for each section so that only so many items can be shown at a time. If you allow six items in each section, for example, and you have six of your tasks in progress, you cannot put another task into play until one of the tasks in progress is actually completed. In this way you can identify productivity issues and find more cost-effective methods for moving your project along. 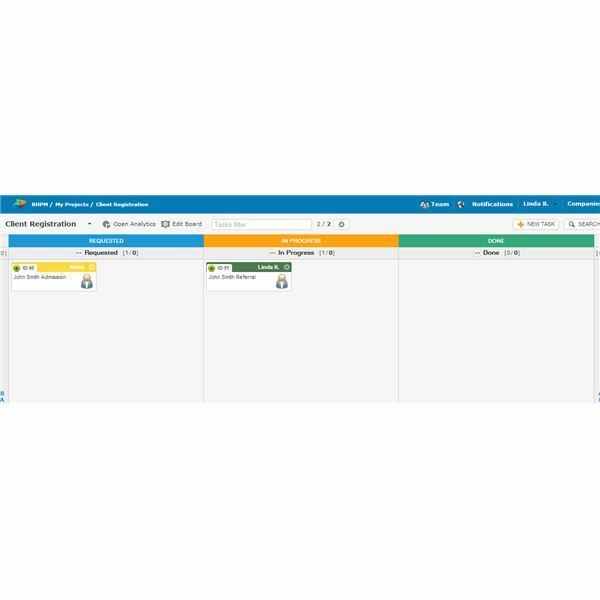 Kanbanize.com brings you a method for visualizing all of your projects. Instead of an awkwardly bulky board hung up on the wall to keep track of your project, you can create a computerized board for each project that you’re supervising. With a click of your mouse, you can move from project to project. What could be easier? Creating my account was quick and easy. As soon as I signed in, the software was intuitively easy to figure out. Whenever I work with a new project management software, I begin by entering all staff with whom I normally work. That way, as I create each task, I can immediately select the person I want for it. 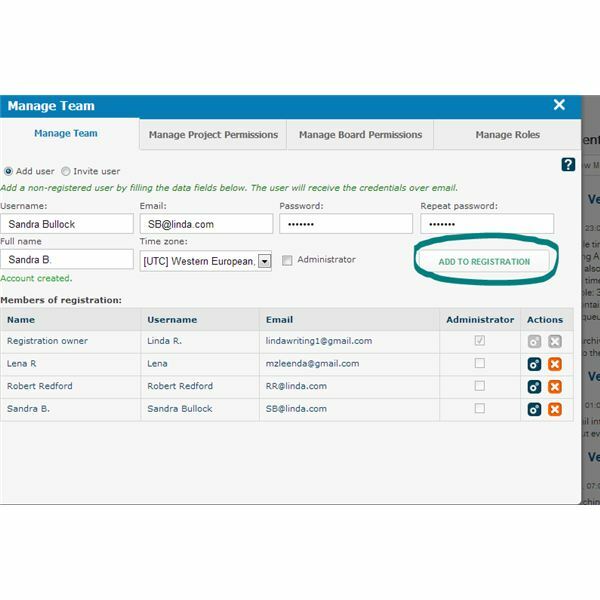 With Kanbanize, you can simply add a user or you can indicate that he should be invited via email. You will also identify whether or not that person is an administrator, meaning he can perform any necessary tasks for various projects, including adding or deleting tasks. Kanbanize recommends not having more than two administrators. You can also identify the roles that people fulfill. For example, I created the role of maintenance technician. Later, after I set up my Maintenance Projects board, I identified Jerry and Chuck as the maintenance technicians for a couple of tasks I created. For each position created, you can set permissions. 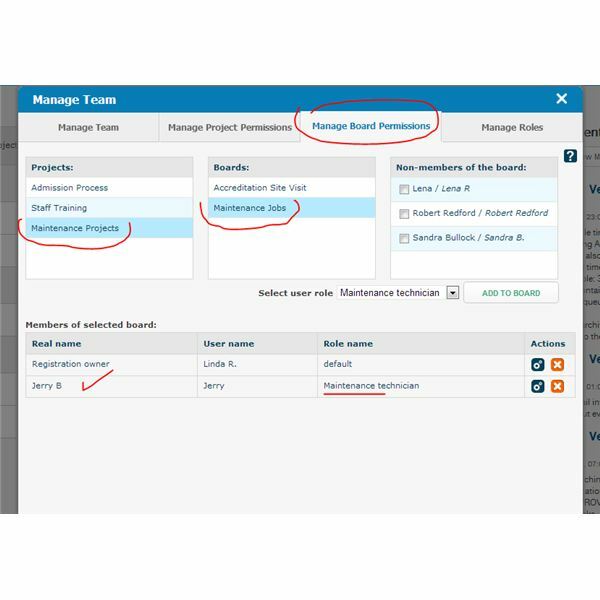 You can also identify a project manager for each board, and he will have permissions similar to an administrator. 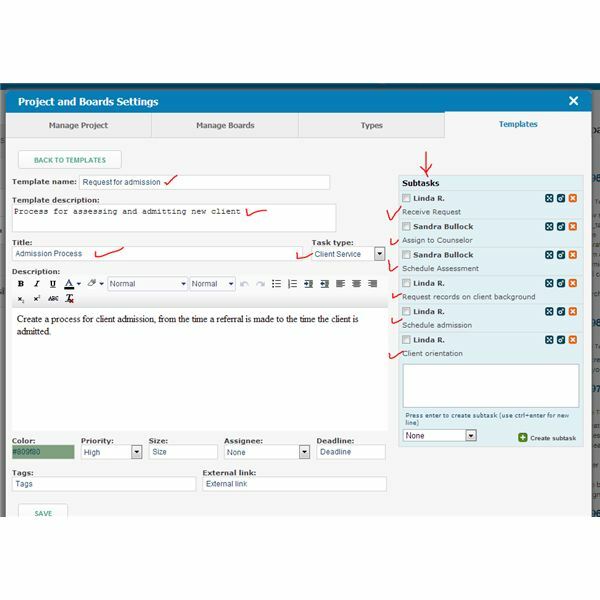 From staffing, let’s explore the Projects Boards. I’ve created projects for our Admissions Process, Staff Training, and Maintenance Projects. Listed under the Project headings are the boards I’ve created: For the Admissions Process, I have Client Registration and also Assessment to Admission. Under Maintenance, I have one board simply for Maintenance Jobs, and I have created another for a special project, the Accreditation Site Visit. For Staff Training, I want to get all my employees through customer service training. In some of my images, you will see tasks that relate to admissions processes for a social service agency. You can apply similar steps for integrating a new client into any business, whether you are a marketing firm, a printing services company, or whatever. The first step is to name your project. 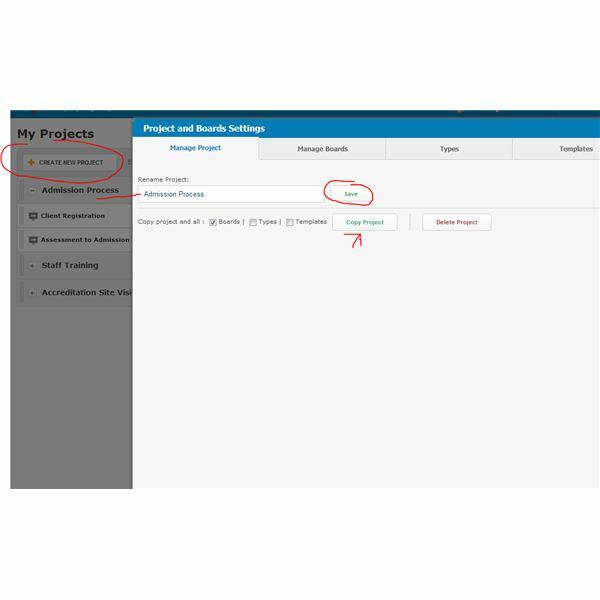 As shown in the figure on Creating a Project, you can also copy a project. 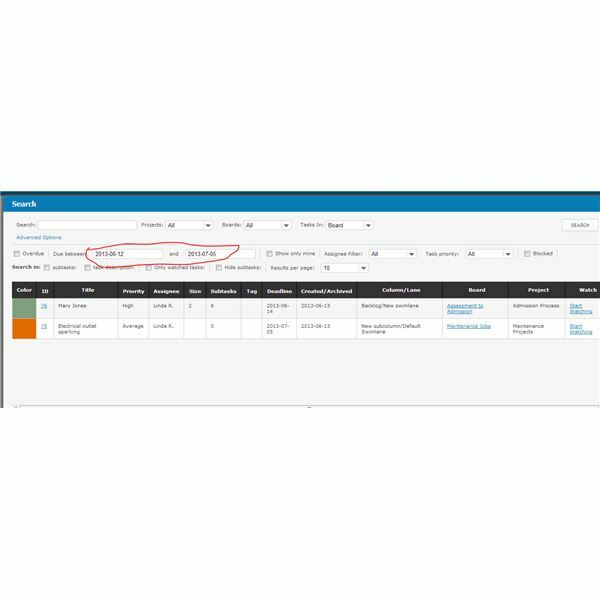 This feature is extremely useful when you perform similar projects over time, so that the same sets of templates and board parameters can be implemented. Next you will click on Manage Boards. 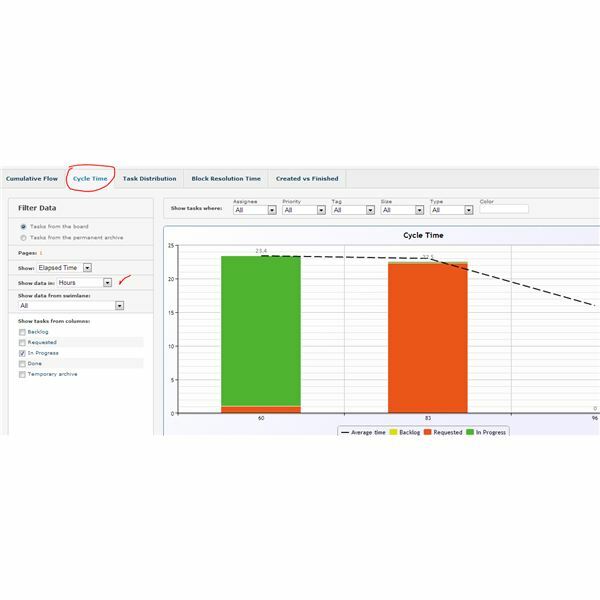 Global Board Settings allow you to identify task size by entering a numerical value, utilization of Fibonacci numbers, or T-shirt sizes. In the Types of Boards panel, there are preset solutions identified as Bug, Feature Request, and Support Request. You can also add a new type. I’ve chosen to add Client Service. Whenever I create a new task that pertains to our clients, I will assign it as one of those categories. I also created a couple templates to utilize for client services. The first one, shown, depicts the admission process, from the time a client first calls for services until the client is oriented to our program. I have also indicated what steps I will perform and what steps my assistant, Sandra Bullock, will perform. Now, whenever I receive a request for client services, I can implement the template and I do not have to identify each step of the process each and every time. My client admission board shows two client activities. Both of them were created using templates when John Smith called to request our services. The first task, the steps to complete during the referral process, is in green because that’s the color I chose for the template. The second task, which contains the steps that must occur once client services actually begin, is in the Requested column because I cannot begin that until the Referral tasks are Done. You can, incidentally, manage your Kanban board to limit the tasks in each column. In a production setting, that’s a vital feature. I have created another board to document the maintenance requests that come in. I might want to establish a template to utilize for a site review so that all departments of my company can receive identical services prior to the review. I can enter tasks for repairs that are brought to my attention such as an electrical outlet sparking, which would require immediate attention. 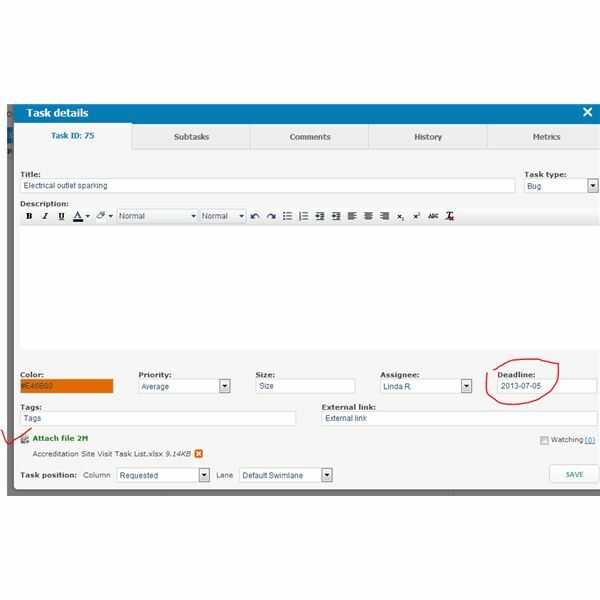 It’s possible to identify a due date on the task and also upload documents that would be relevant to performance of the task. Once my tasks are in progress, Kanbanize puts a list of my tasks at my fingertips. No matter what project board I’m viewing, I can see my assigned tasks to the right of the board. This image shows that I have a client referral to manage and also the electrical outlet to look after. In addition, I have to assign someone to measure the walls of the residential services building—a task that’s built into the painting template I created. For each given task, you can view a history of its progress. The Metrics tab will allow you to see how much time the task has spent as a backlog, as requested, in progress, or as a completed task. Kabanize also calculates the time you’ve spent on each task. And, as with your Task Distribution, the Cycle Time allows you to visualize this information. 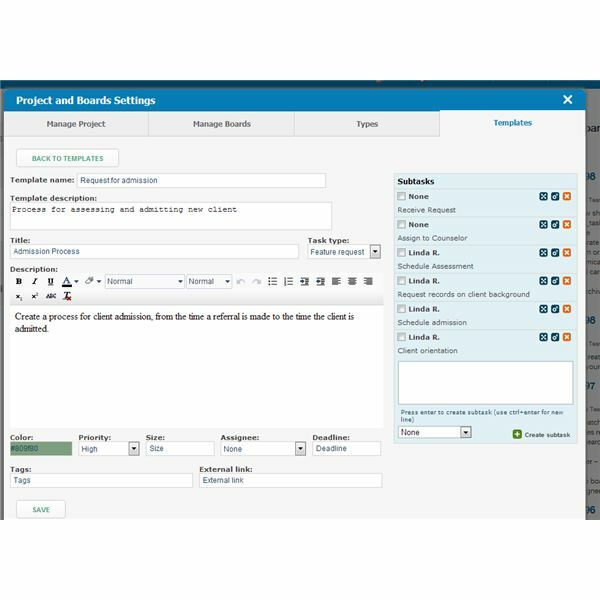 Kanbanize also allows you to create subcolumns and swim lanes. I used this as a way to drag and drop tasks into different team members’ columns and thereby equalize workflow. In the image you can see that I assigned one column to Robert Redford; by clicking on the little gear in the other column, I can identify it as the column for Sandra Bullock. 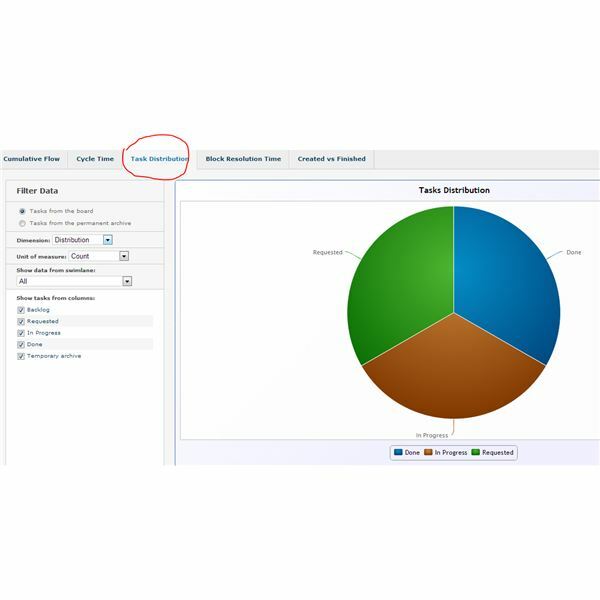 You can also categorize your tasks according to cause and effect in order to identify specific problem areas. It’s useful to visit the Task and Board Settings. The Task Settings tab lets you choose what information will be shown in each task bar. 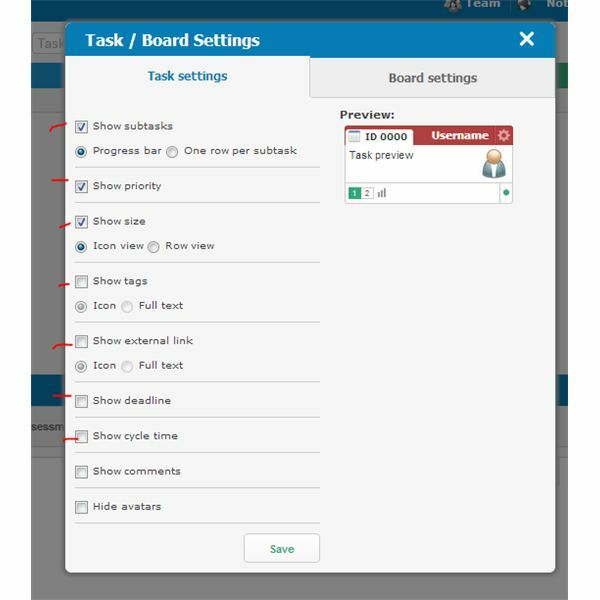 The Board Settings allows you to decide how often your boards will refresh and also identify the number of hours in a workday. You can also select a template to be used by default. 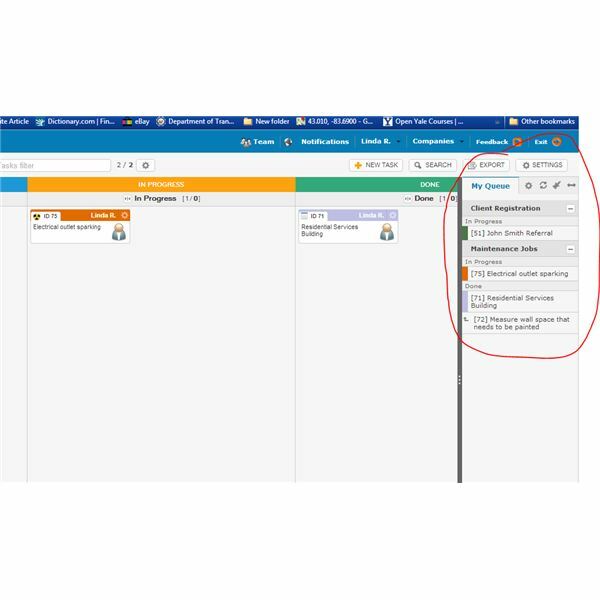 Kanbanize allows you to create tasks and leave them in the backlog section, not yet requested. You can also drag completed tasks into the archive section; this would be useful for studying efficiency or for copying them for later use. 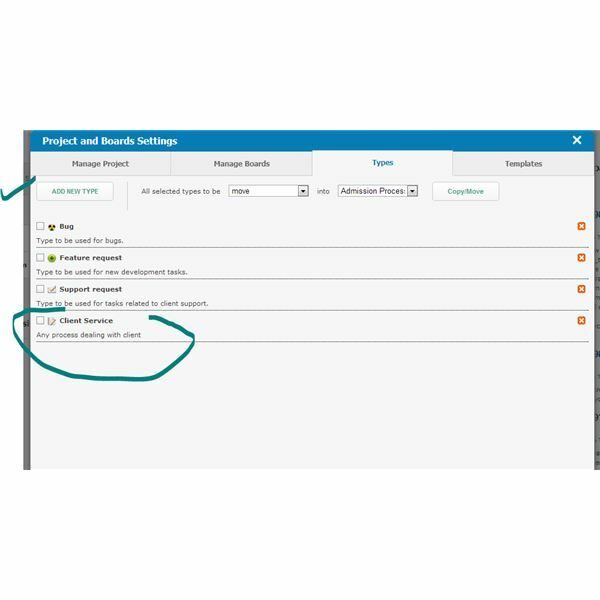 Going back to My Projects, I can tell Kanbanize how I want to search for Projects. In the image, I searched for projects with a specified due date. 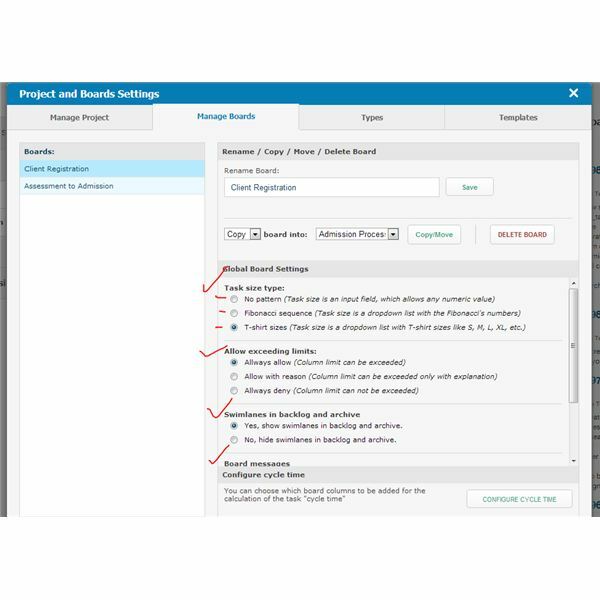 You can specify all categories from backlog to archive for your search. 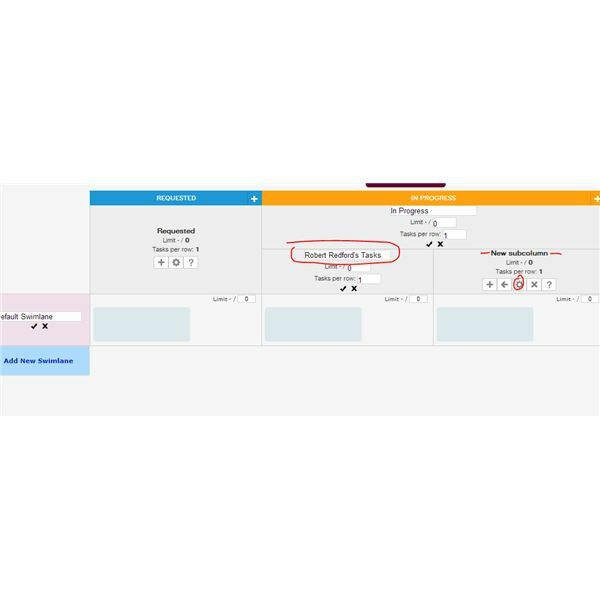 Kanbanize also displays your work in chart format. You can then print your page or download your chart as an image and email it to your client or staff. The image in this chart is very simple as I have created only a couple of tasks, but imagine how useful this will be when you’ve got Kanbanize managing multiple tasks and projects. Kanbanize stands up pretty well in the value-for-price category. The version reviewed here is absolutely free. If you’re much bigger than a mom-and-pop business, consider the Shared Cloud version, which goes for $3 per user per month. Dedicated Cloud and on-premise service is available for a minimum of 10 users at $6, so for a year it would cost $720. With those accounts you get integrated email and unlimited API calls, plus you can customize your front page. Those are pretty reasonable project management costs in my book. While I have used it for a variety of task-based projects, ultimately it helps you make smart data-driven decisions based on the empirical data provided by the charts. The free version tested here is user friendly—extremely easy to get started and utilize. I am hoping that as users climb on board, the Kanbanize people will create user forums so that if you are using the free version you can share some ideas, and solve problems if they arise, with fellow Kanbanizers. The verdict is two thumbs up!